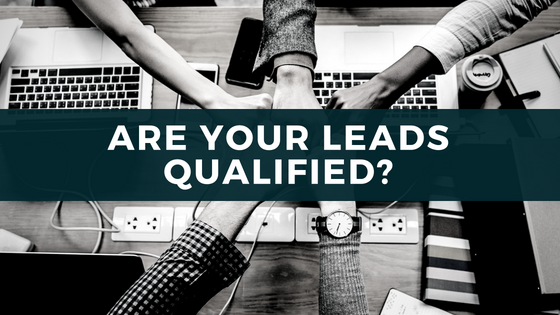 Are Your Leads Qualified? Here's How To Find Out! If you want a smooth business operation, the marketing and sales teams need to work in complete cohesion. In many cases, however, this isn’t happening. Why? Because there’s a lack of shared understanding about what a qualified lead is. Not only are marketers handing over unqualified leads, but sales reps are actually ignoring 50% of the leads given to them via marketers. With two very different definitions of a qualified lead, the end result is often confusion, frustration, and lost revenue. To get to the core of a qualified lead, you first need to understand the difference between MQLs and SQLs. These are leads that are engaged with content, but their level of interest is still undetermined. A lead is sales qualified once they’ve been vetted by the sales team as having a need for the solution offered by the company. The main difference between the two lies within the readiness to buy. An MQL is most likely not ready to buy, while an SQL can be approached by the sales team. An SQL should already be aware that your product or service may be the solution to their problem. So how can you tell when a lead is an SQL, or ready to be passed along to the sales team? There still needs to be that shared understanding between marketing and sales as to what makes a qualified lead. Why is a lead typically disqualified? How much content does a lead typically consume? Now that you know what you’re searching for in a qualified lead, how do you combine this knowledge with concrete data? Lead scores are a numerical measurement of how qualified a lead is. 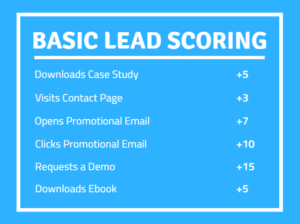 Lead scores are a set of custom metrics your business creates based on what your ideal, qualified lead looks like. Once a lead enters you pipeline, you can track their lead score as you nurture, waiting for the ideal moment to pass along to the sales team. Once a lead has reached the desire lead score, they can be automatically passed to the sales team. Now, with the qualified lead captured and strategically passed along, both the marketing and sales teams can be happy.